The Great Frame Up, Deck the Walls, and The Framing and Art Centre are sister brands under the parent company Franchise Concepts, Inc. The brands’ retail storefronts span across the United States and Canada, offering convenient and affordable custom framing services. The three brands have more than 140 locations, each owned and operated by an independent franchisor. As with many franchise organizations represented by a single website, owners of individual stores were unable to showcase the unique qualities of their own location. Paradigm recommended a solution that would allow franchisees to take ownership of their store’s marketing, turning these three brand sites into over 140 customizable microsites. We redesigned and redeveloped the three brand sites with unique, unmistakable branding that not only sets them apart from one another, but also sets them apart from competition within the industry. We moved away from the traditional tan and green in favor of more bright, playful colors and refreshing textures to give the sites more personality. The branded template is extended to each store location’s own microsite. However, even with a designated template, individual store owners are able to customize the images and content throughout their own microsite. The templates feature a large, customizable hero image that allows the personality of each location to shine. 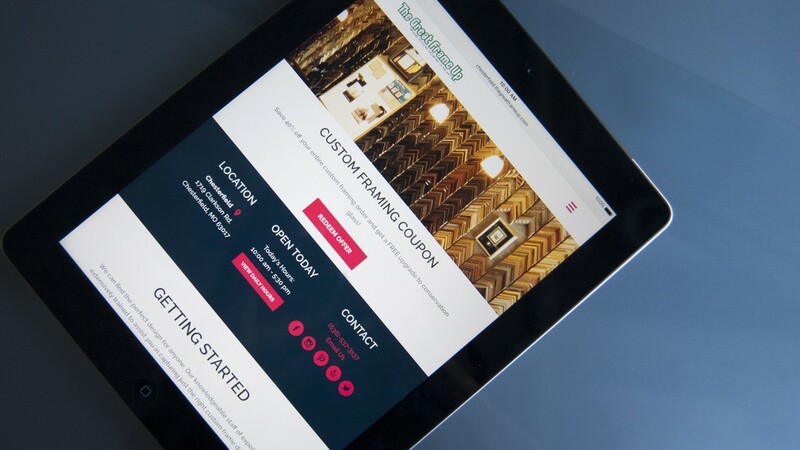 The new websites are mobile-ready and look great on any device. We built each with clear navigation systems that allow visitors to easily find what they’re looking for, whether it’s a specific product or their nearby store. To manage and provide resources for the 140 locations, a corporate intranet was built into the content management system (CMS). This allows store owners at Deck the Walls, the Great Frame Up, and the Framing and Art Centre to check on their site’s statistics, receive updates and announcements from corporate headquarters, set their own store hours and receive customer messages. 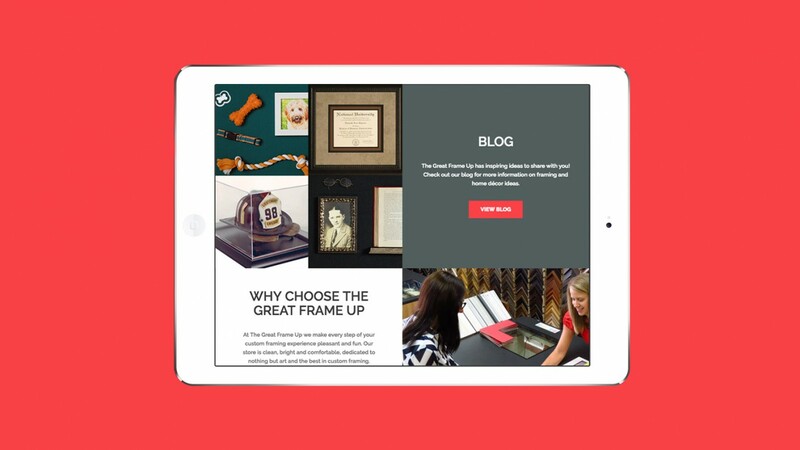 With not one, but three brand new website templates extended across 140 microsites, Deck the Walls, the Great Frame Up, and the Framing and Art Centre continue to deliver on their promise of providing high-quality frames that help people preserve their special memories for years to come.